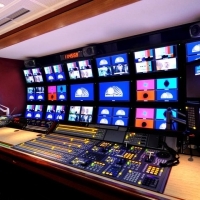 Videobank is one of the European main companies in the field of telecommunications, providing Broadcasting and Satellite Uplink services using its own OB vans. Since 1995, when it was founded as Internet Service provider, Videobank has a brilliant new take on innovation. In fact, it was the first company supporting the newborn Wireless technology. In 2003, Videobank realizes the biggest worldwide hotspot across a 3200Km² coverage. This was the first certificated network in Italy for the Centrino technology by Intel Corporation. 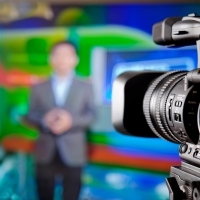 In 2004, the company’s core business opens its routes towards a new business trade: the Video Broadcasting. 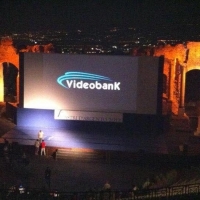 Videobank grows up and, thanks to its great flexibility throughout the country, the major Italian broadcasters. Videobank currently has serveral International customers, such as Eurovision, TV3 Catalunya, RTP, Al Jazeera, Canal Plus, CNN, CBS, Reuters, ITV Poland, BBC, Bein, Atresmedia. More than 80 people are employed in all its 11 Italian offices. The broad-minded company continues its growth and it is now investing in two new projects: “Cinema & Fiction” for the cinematographic production and the management of festivals, such as the organization of the 63rd edition of Taormina FilmFest in 2017.